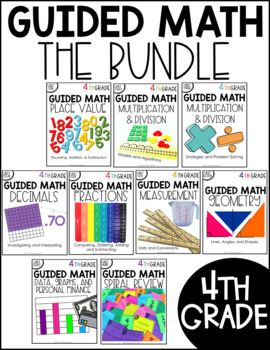 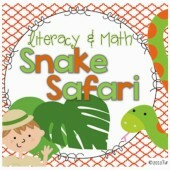 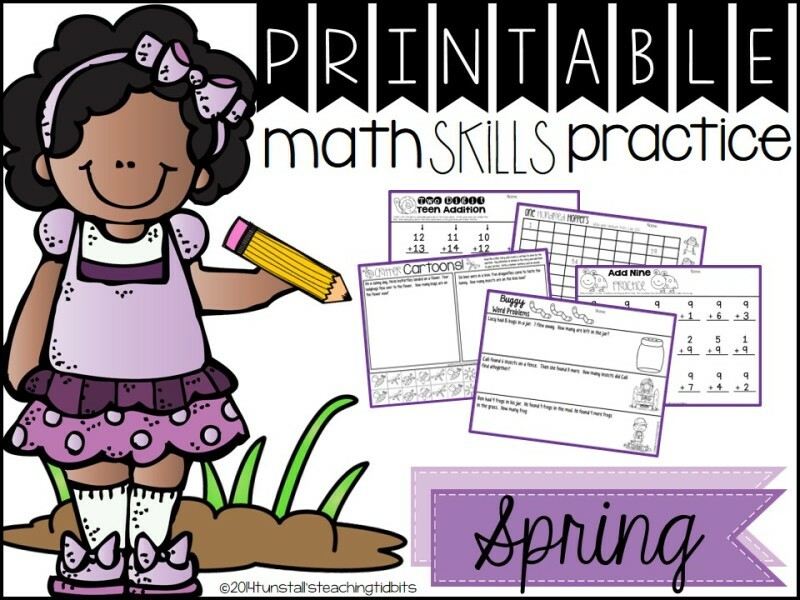 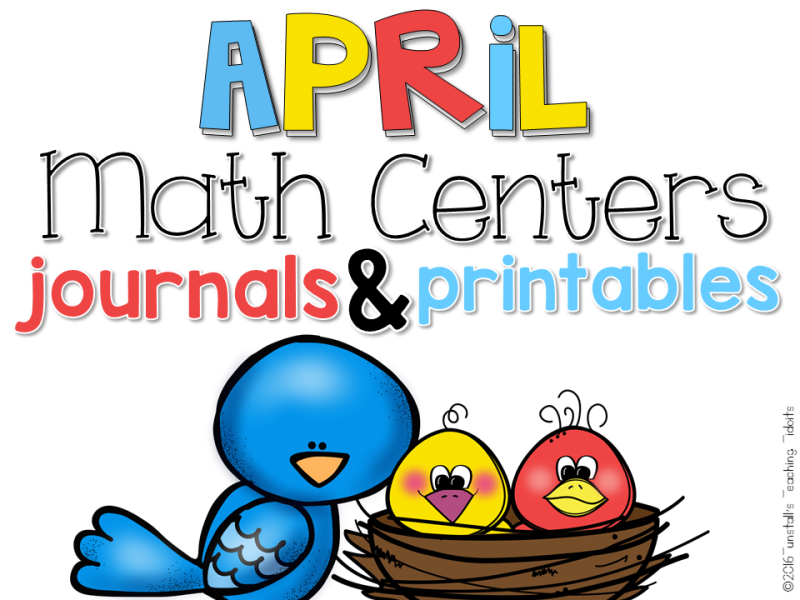 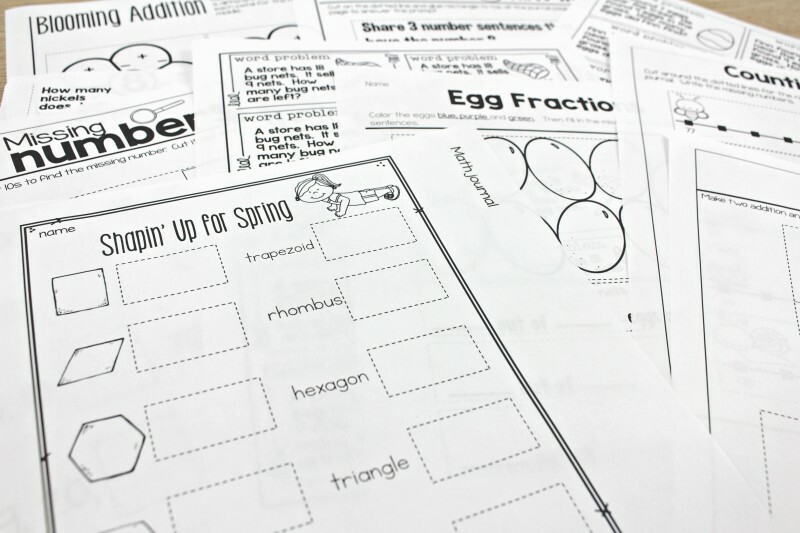 It’s time for April math centers, journals and printables! 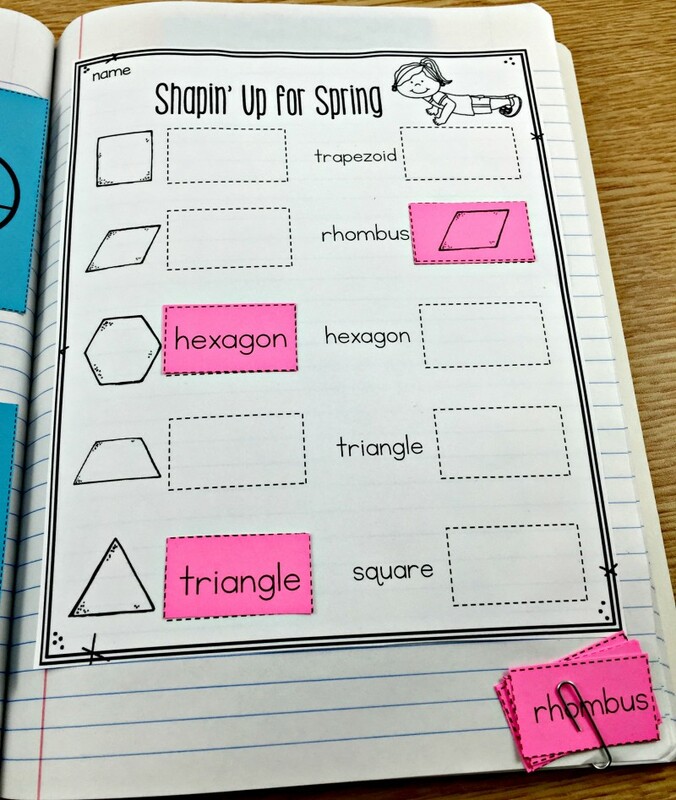 It’s standards based but full of novelty to make those spring fever days more engaging! 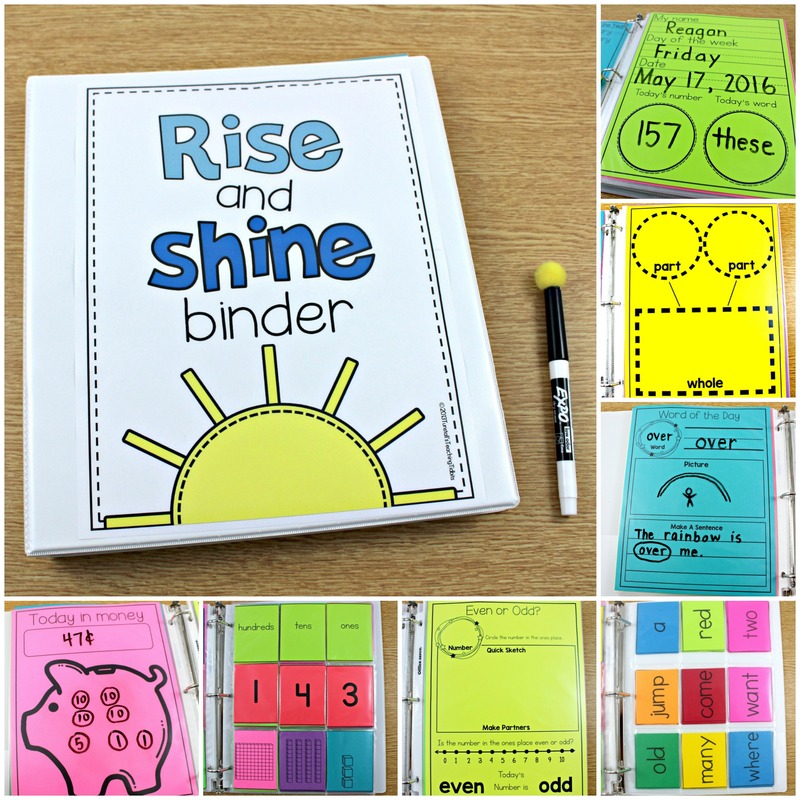 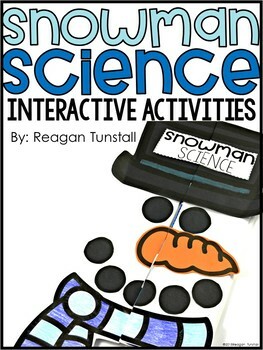 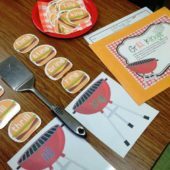 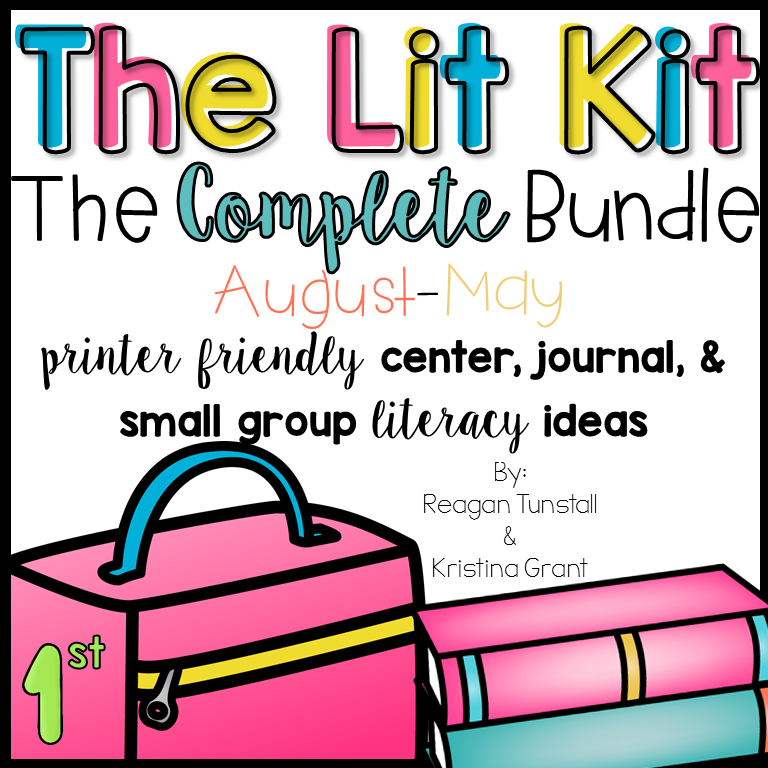 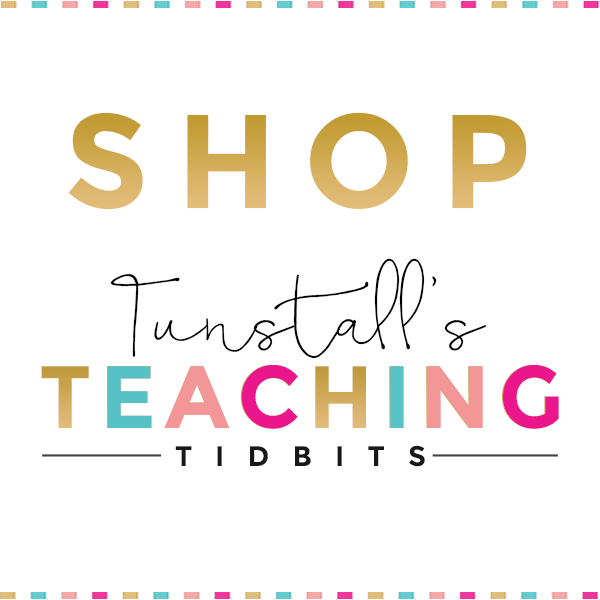 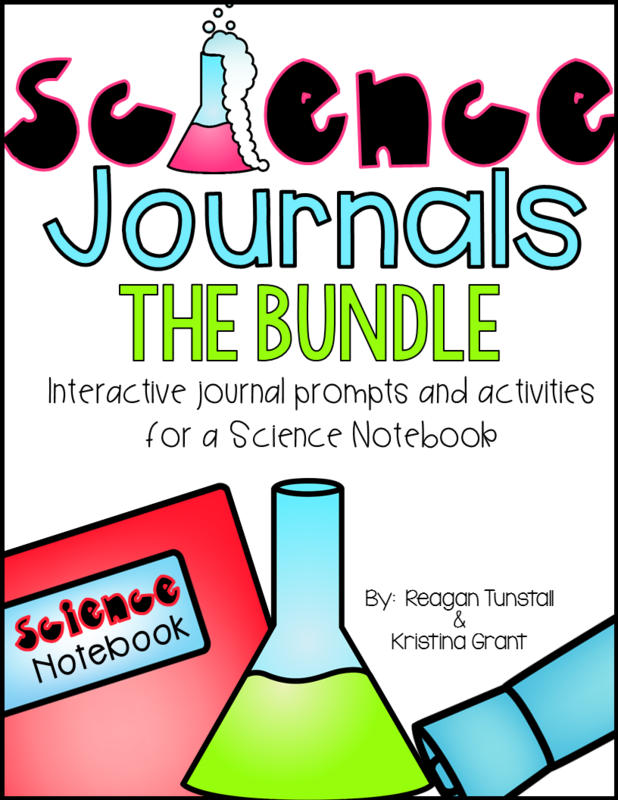 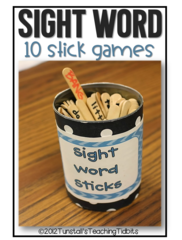 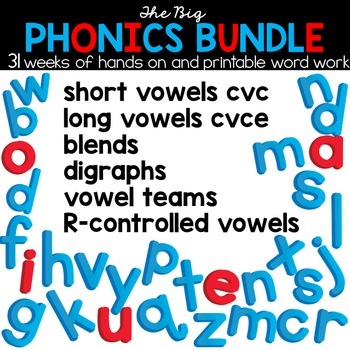 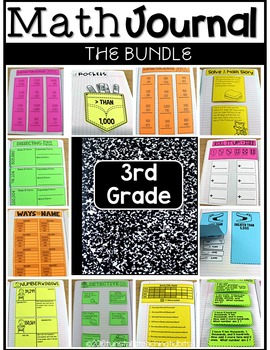 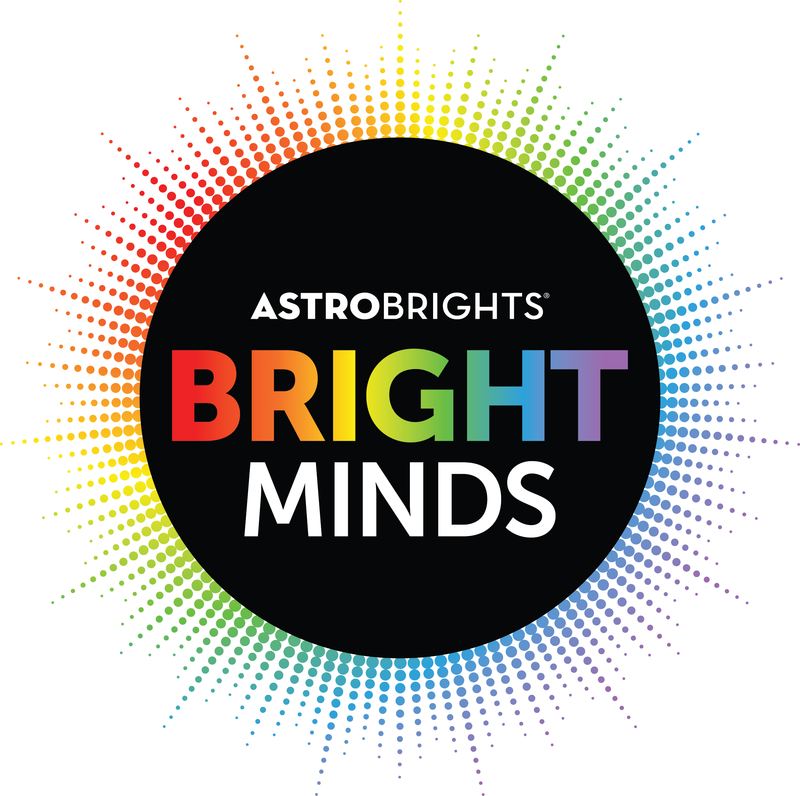 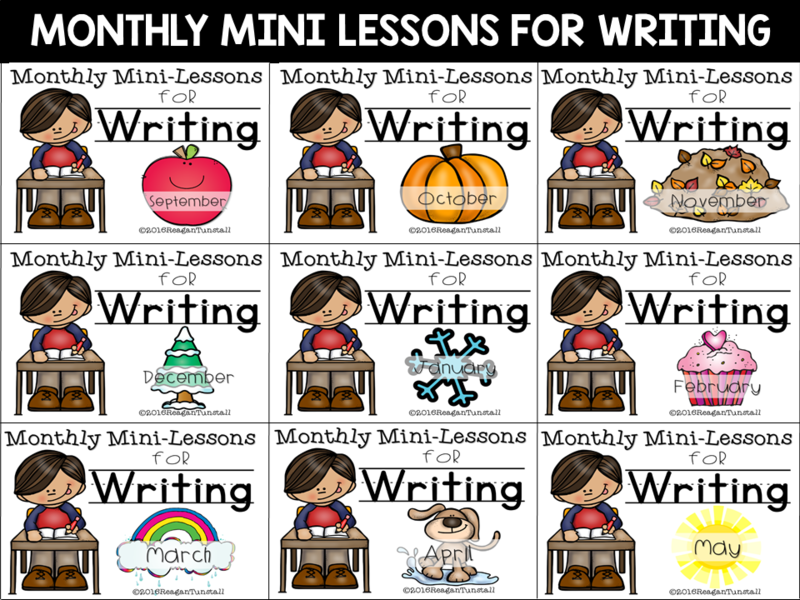 A whole new batch of printables, journals and hands-on centers is ready! 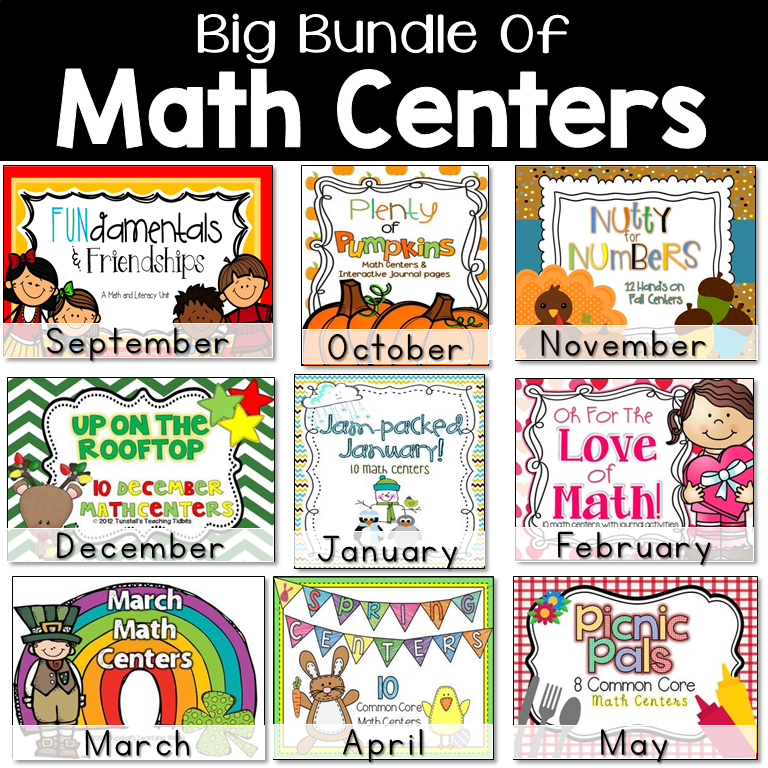 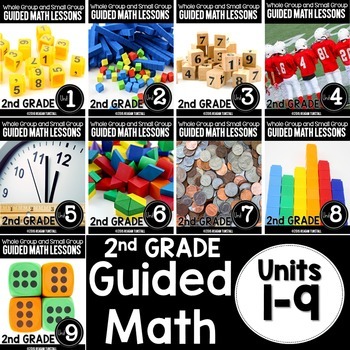 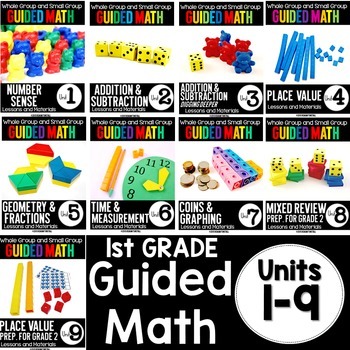 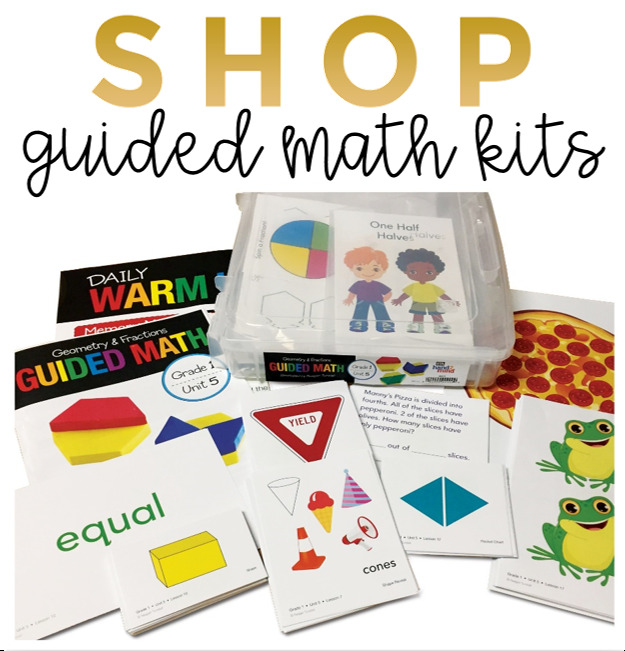 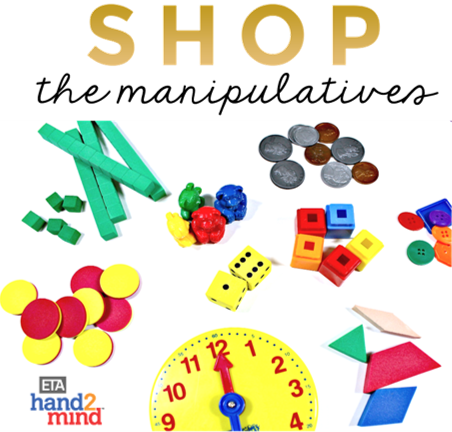 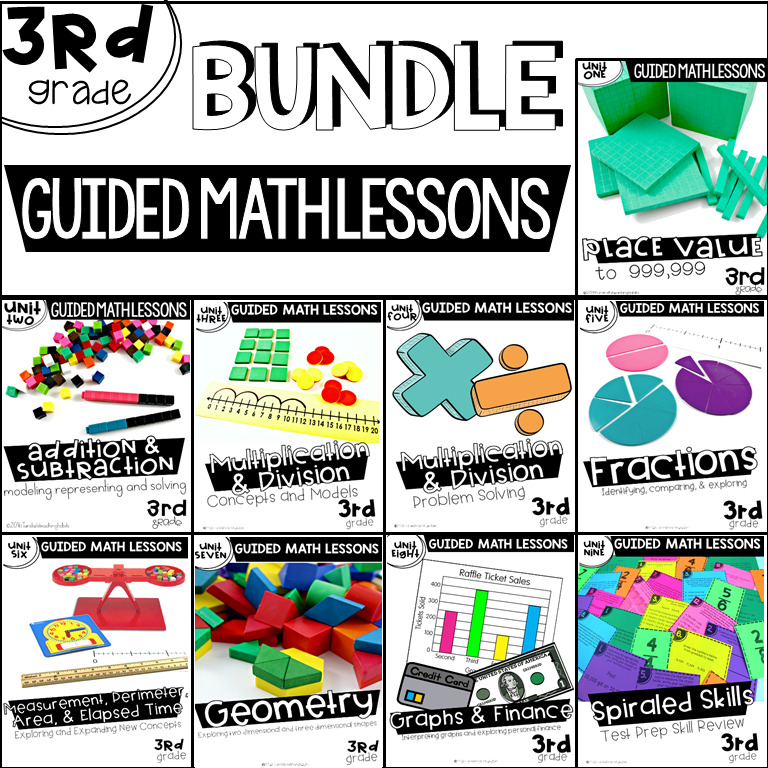 Starting with ten hands-on math centers, students will strategize, practice, and apply previously learned math concepts in independent stations. 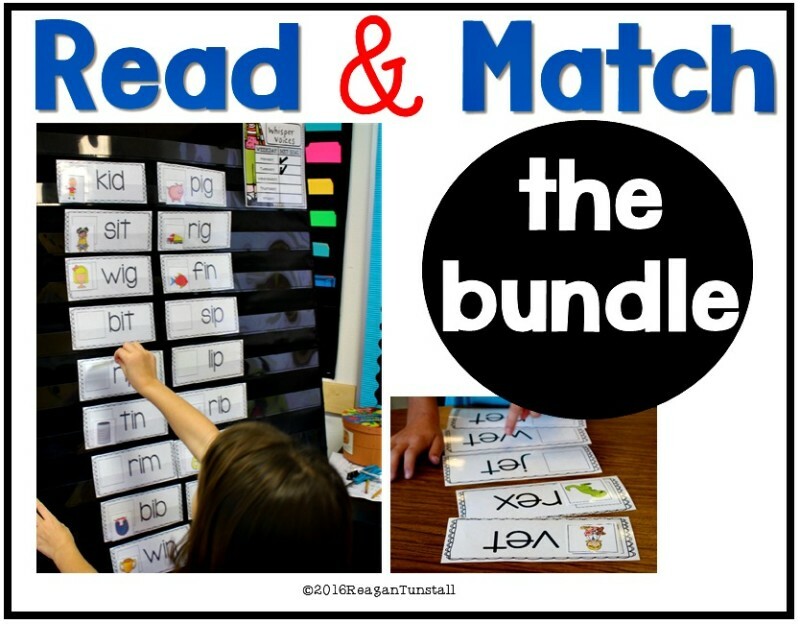 No doubt this is a favorite rotation! 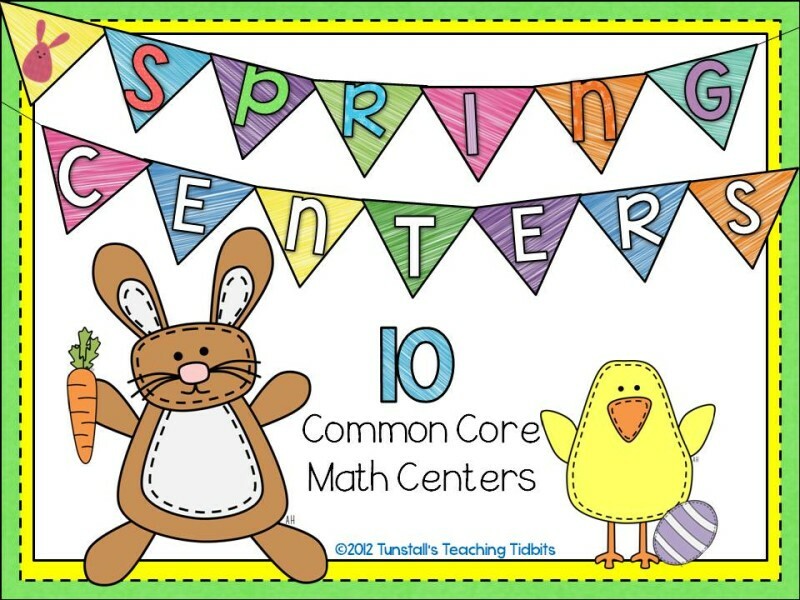 Here’s a peek at the centers first. 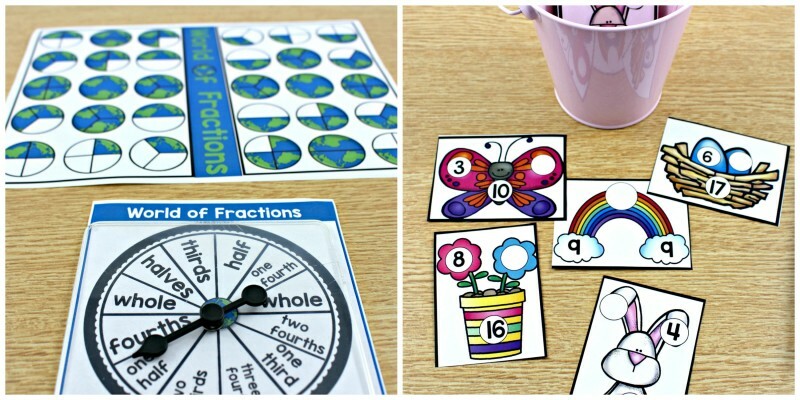 On the left, students will practice recognizing fractions. 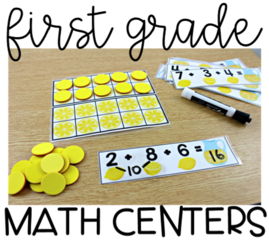 There are two versions of the spinner for differentiating. 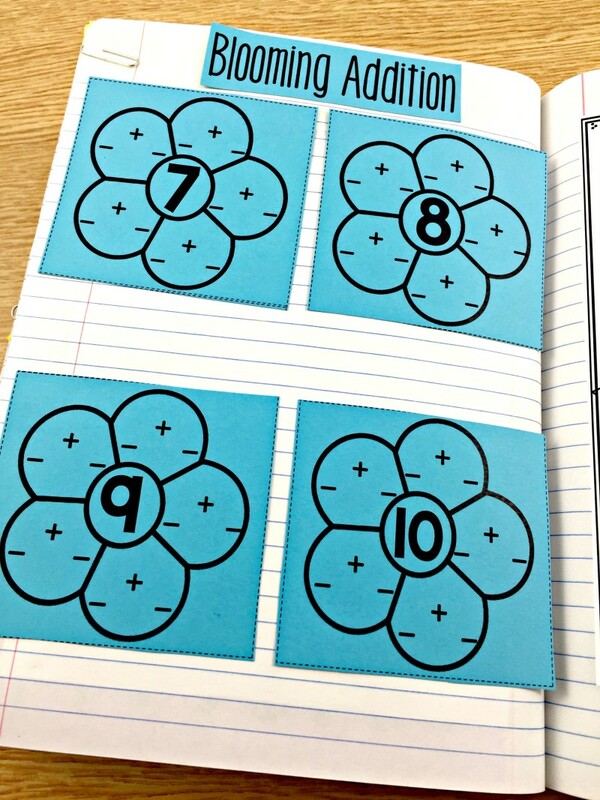 Students try to cover all of their fractions before their partner. 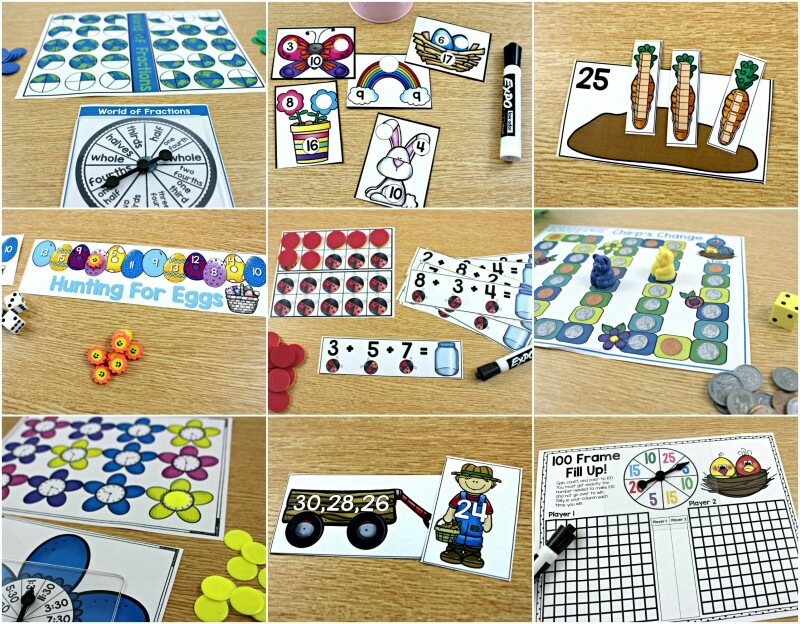 On the right, students use manipulatives to figure out the missing number in spring themed number bonds. 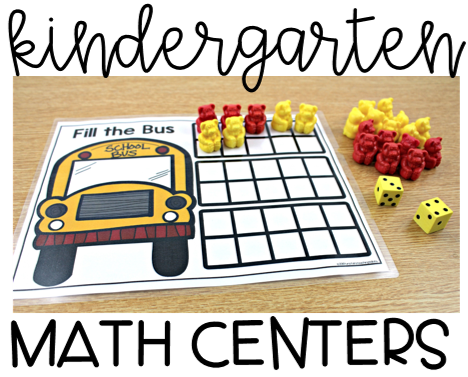 Students play against each other to fill up a 100’s chart by adding large numbers together. 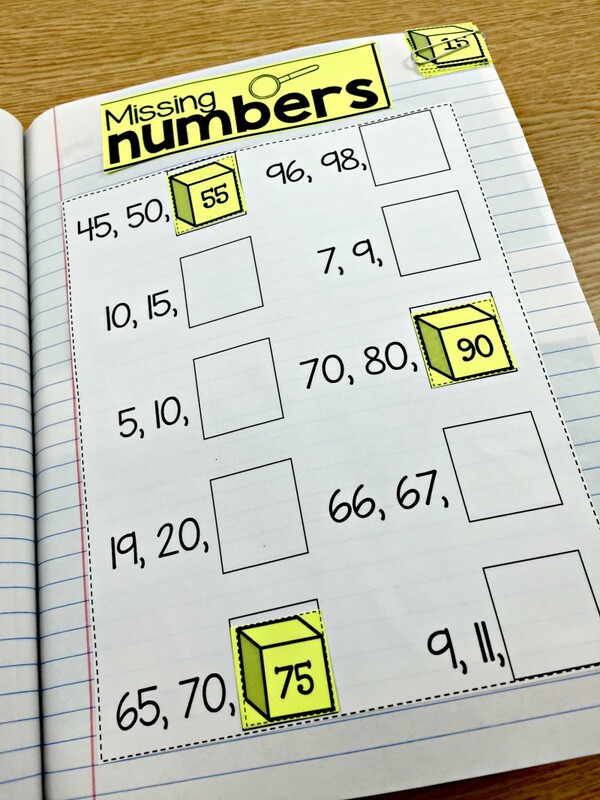 Using a hundred’s chart makes this concept very concrete and dare I say, FUN?! 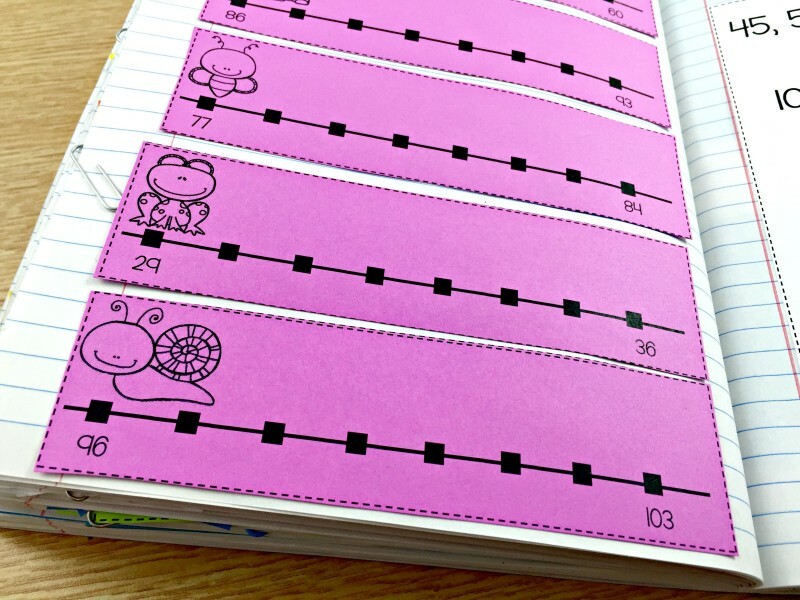 On the right, students complete count bys with both 2s and 5s going forward and backward. 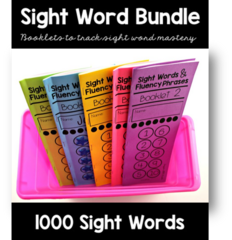 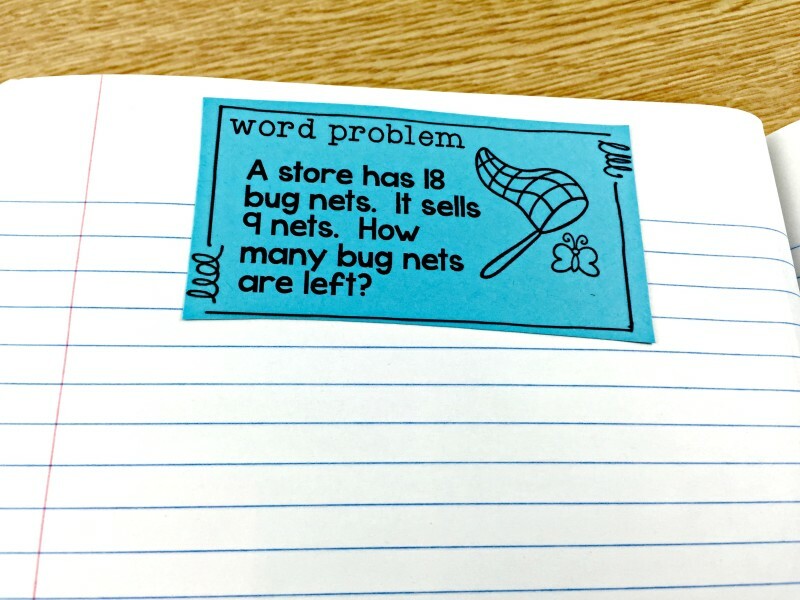 I love how this center easily helps build fluency with this tough concept. 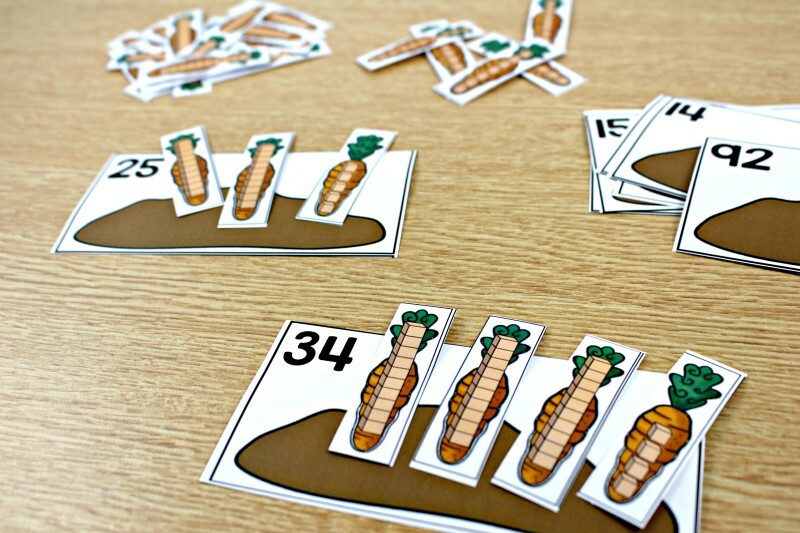 A fun friendly game of greater than (like WAR) helps students compare numbers to 120. 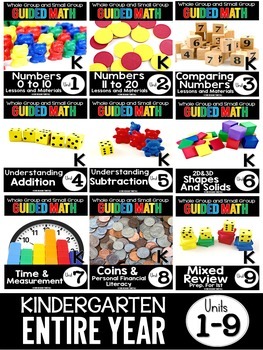 It also exposes them to reading the numbers at the same time! 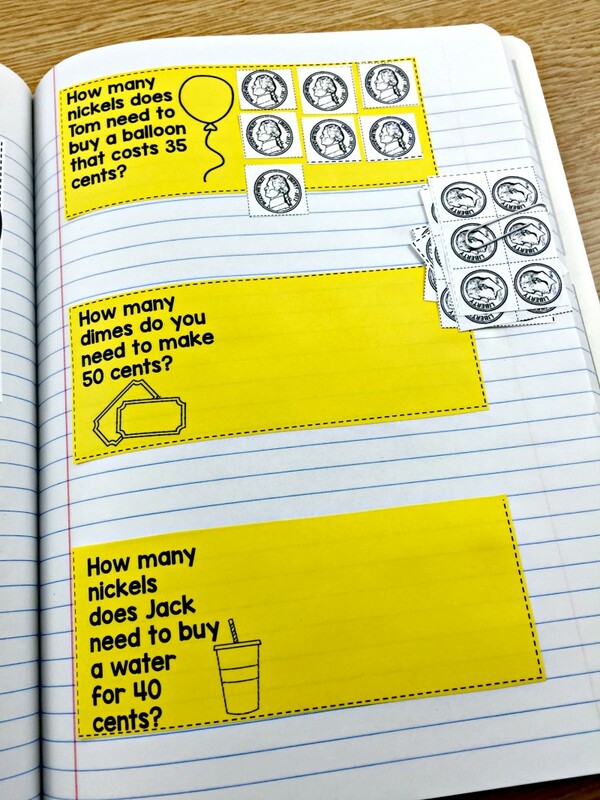 This is a favorite because there’s money involved! 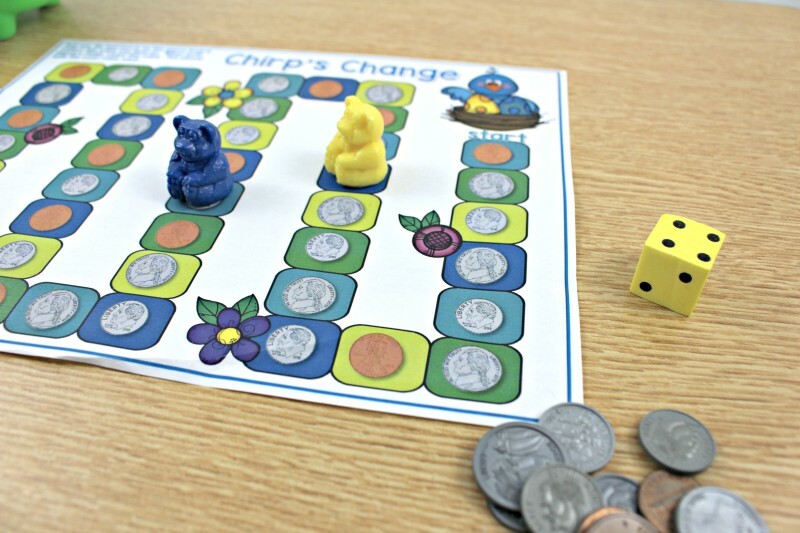 Students gain coins as they travel around the game board. 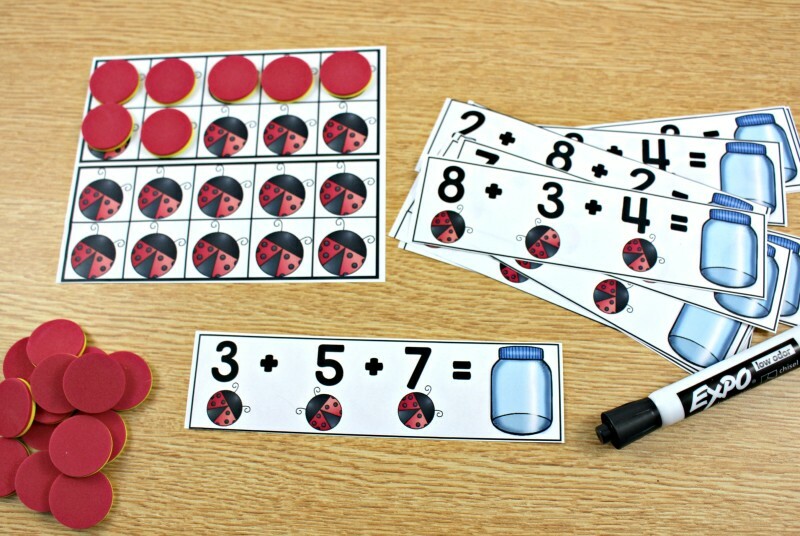 When both students finish, the player with the greatest amount wins! 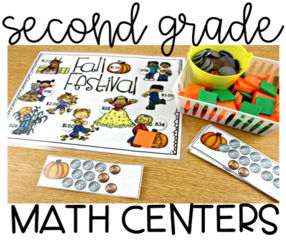 This one is dimes, nickels, and pennies. 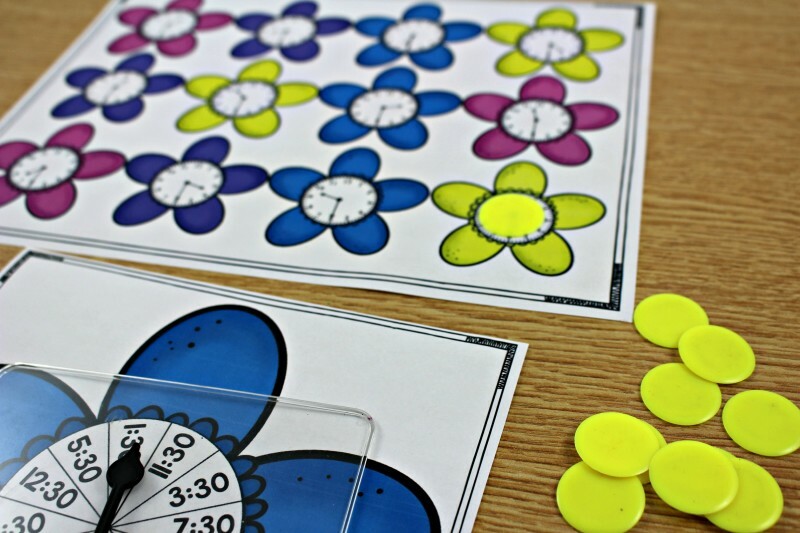 Students spin and cover to review time to the half hour. 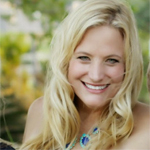 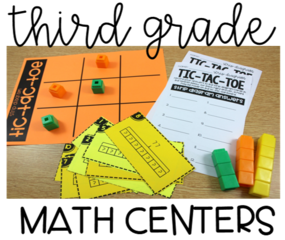 Making it a game against a partner adds interest and excitement! 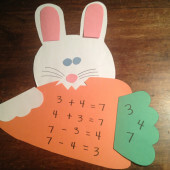 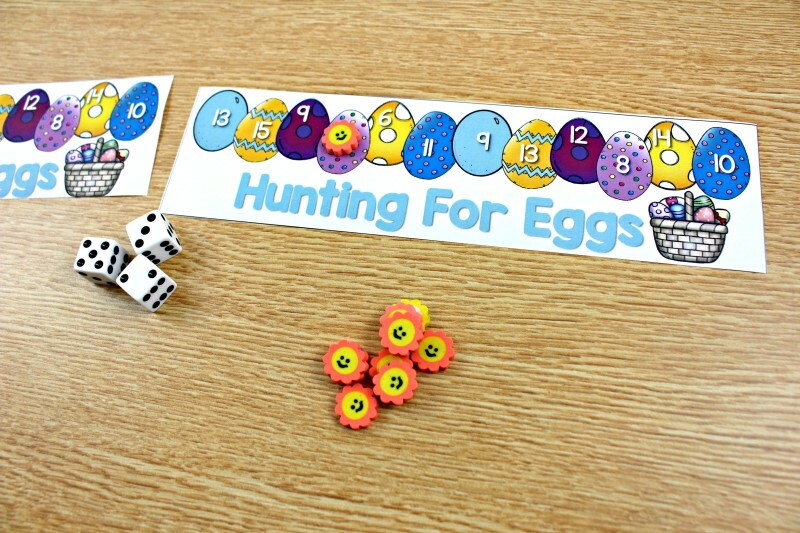 Students add three numbers and cover the sum if they have an egg with that sum. 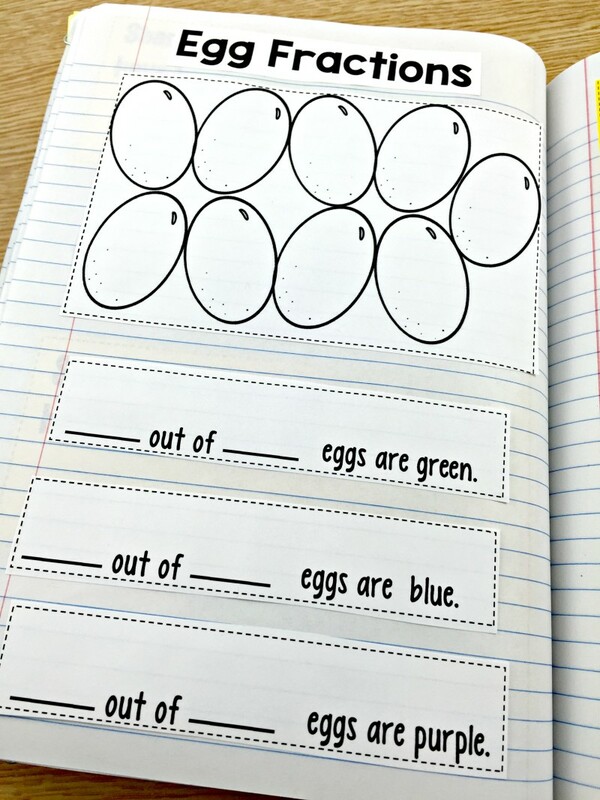 The winner covers all of the eggs first. 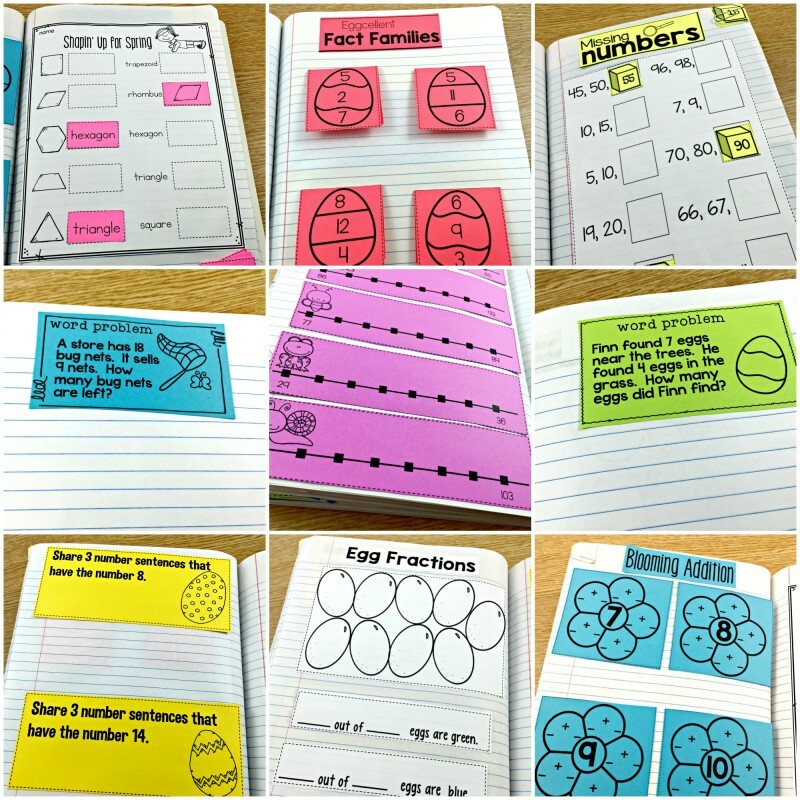 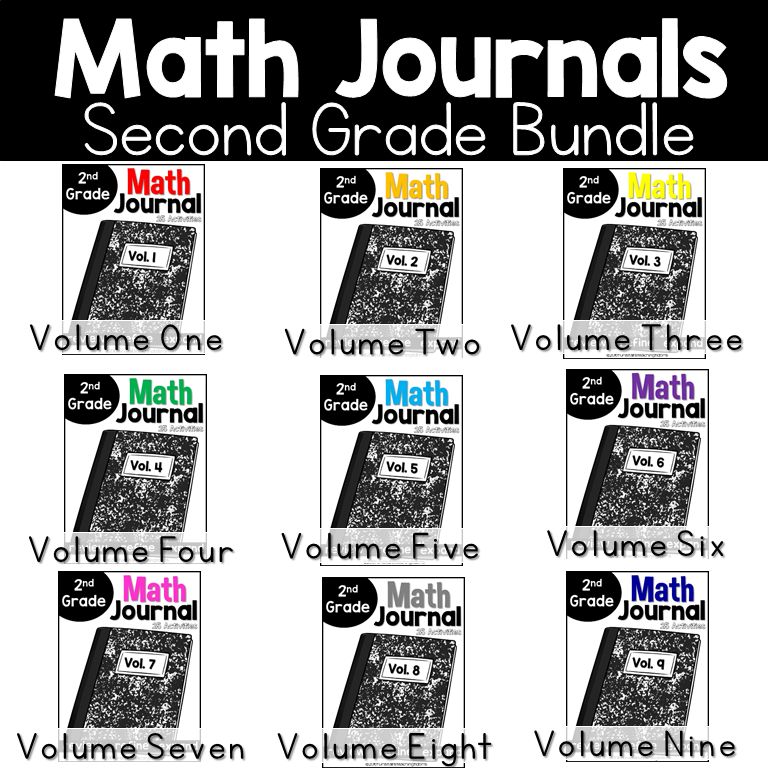 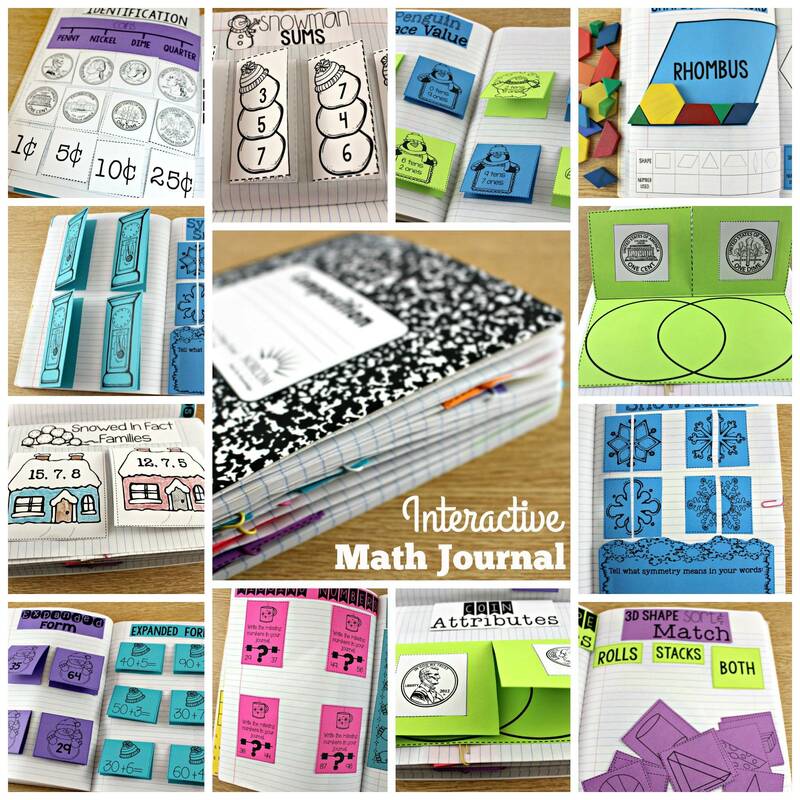 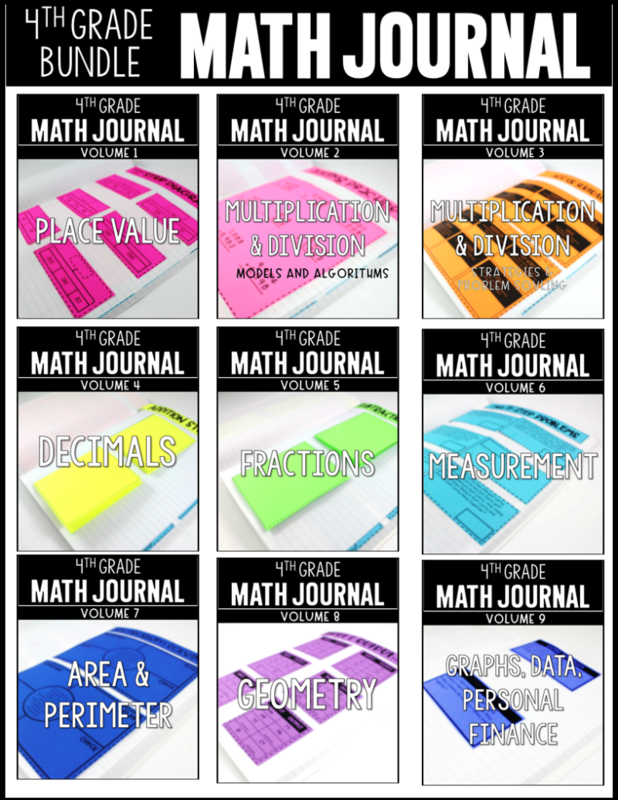 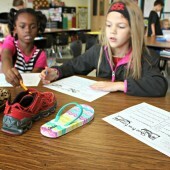 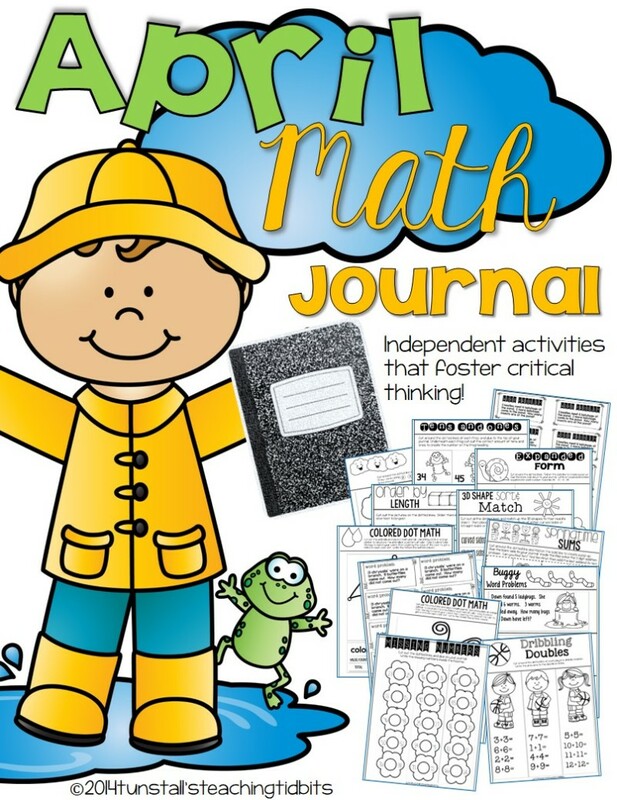 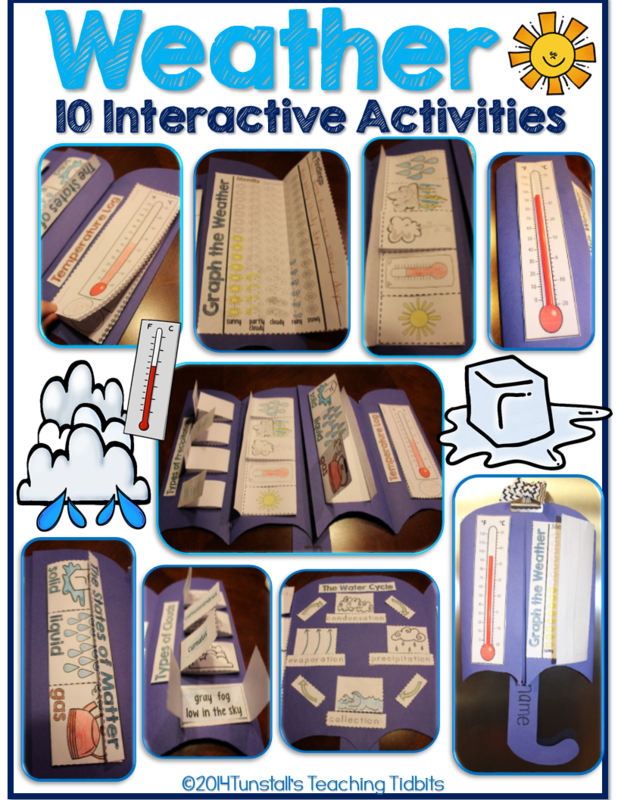 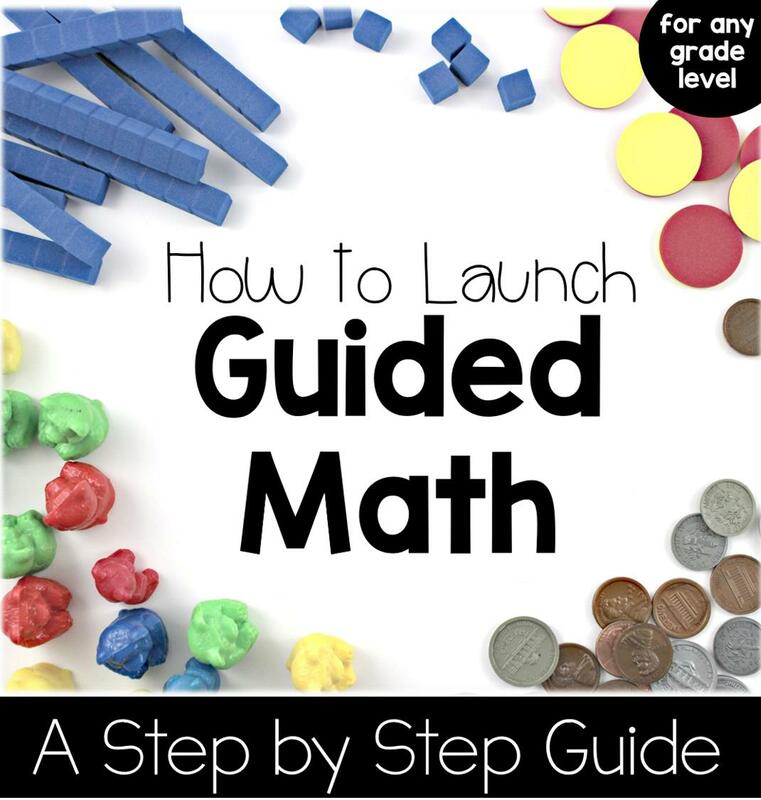 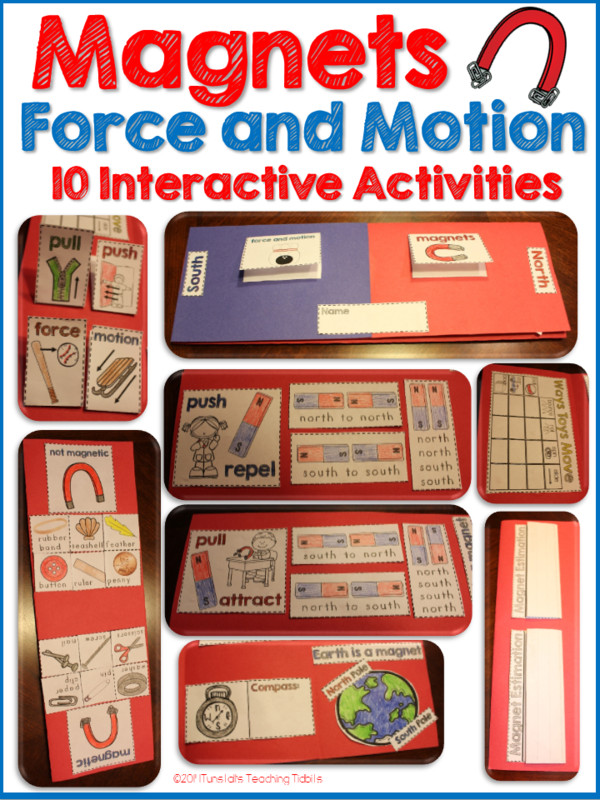 Fill up those math journals during rotations with these ten math journal activities. 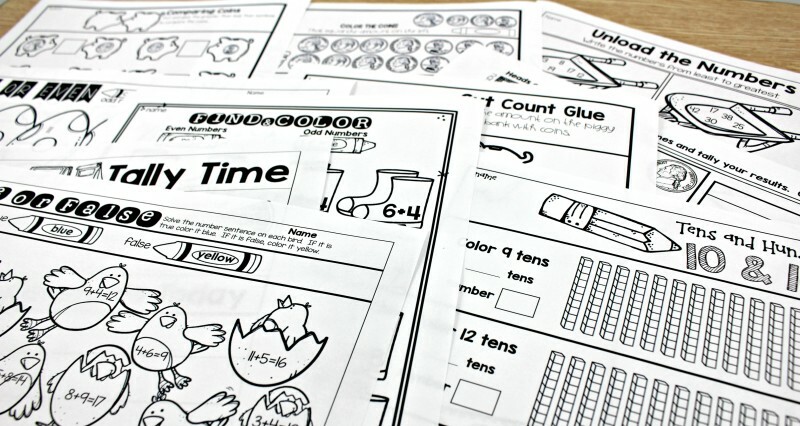 Run on colored paper or keep them as is!